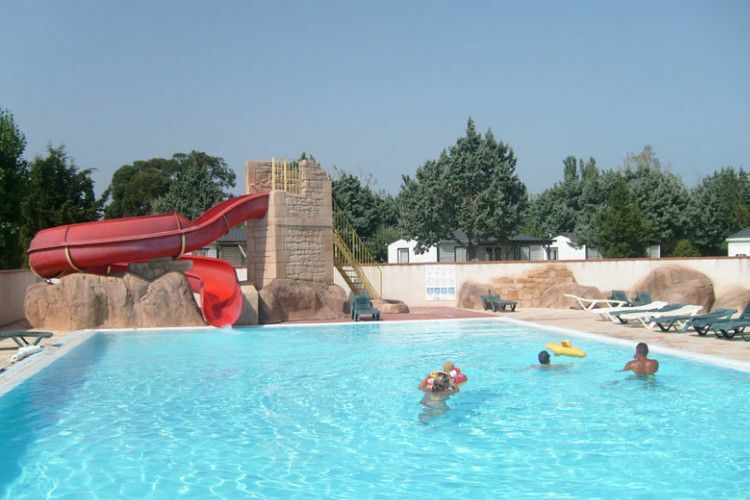 Enjoy a great family holiday in the wonderful atmosphere of Le Roussillon Campsite in Saint Cyprien ! This excellent 4 star site in the Languedoc region guarantees a restful and relaxing time as well as offering a host of leisure activities, just 2.5 km from a picturesque beach. Its in an ideal location near to Collioure (19km), Argelès-sur-Mer (10 km) and only 45 minutes by car to Spain. Le Rousillons superb facilities are spread over 3 hectares of grounds running along the Mediterranean coast with a backdrop of Canigou and the Albères mountain range. At Le Roussillon a fun time awaits the whole family. The site is awarded Family Plus status. Try the waterslide to experience a thrilling dip into the pool. There is captivating fun and lively entertainment on offer throughout high season. Sports equipment is on hand for table tennis and petanque. Or make use of the sports ground. You dont need to go into town is you dont want to as there is a takeaway food service and various shops on site from mid-May to the end of September. There is a public barbecue area where youll get to meet your fellow campers. If youre a sun worshipper, youre in the right place as this part of the south of France boasts 320 days of sun per year ! Travel along the catalan coast, admiring the forest and sea landscapes. Try out some of the many leisure activities available (scuba-diving, mountain biking, etc.). 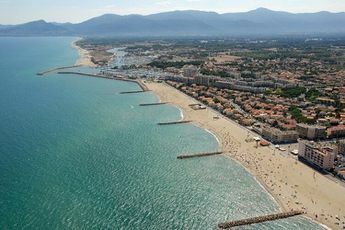 Between Canet and Argelès, near to Spain, bordering the Mediterranean and the Pyrenees, Saint Cyprien is a well-known marina awarded European Blue Flag status in 1991. Enjoy water sports, rock-climbing and golf. Explore the wonders of the Mediterranean coastline (Perpignan, Argelès sur mer and Collioure,). Plus youre not far from the Spanish border.